Valentine’s Day is just around the corner and while some people (like Jess) are trying their best to ignore it, others are planning ahead and trying to figure out how to make a mostly-commercial holiday count. Viewers from across Canada have been sharing their stories and questions with The Morning Show and Jess joined them to offer her insights on a few queries this morning. Check out the summary and video below and be sure to submit your questions here. My colleagues recently told me that someone we work with has a crush on me. A week ago he asked them what kind of chocolates I like so I’m assuming he plans on gifting me with some on Valentine’s Day. I really like this person, but not more than a friend. How should I handle this situation so I don’t hurt him and we can remain friends? Be clear about your intentions from the onset. Let them know that you don’t like surprise gifts or convey your disinterest in Valentine’s Day. You might even ask your colleagues to let him know that you’re not interested in dating them since they’re already “passing notes in class” between you. When it comes to workplace crushes, it’s best to nip it in the bud to avoid awkwardness and miscommunications. It’s not a big deal; we all get crushes and we all eventually move on. Research suggests that crushes often have more to do with the admirer than the admired. It’s likely that he has projected idealized attributes on to you and this results in his experiencing of strong positive feelings toward you. Oftentimes, crushes involve feelings of attachment and admiration, but they’re not realistic; he likely doesn’t know you as well as you think he does. The expectations usually prove unrealistic and are short-lasting; the feelings, however, are powerful. My husband hates everything about Valentine’s Day. He believes it’s turned into a corporate holiday where everyone is expected to spend a lot of money. I’m the complete opposite and as a hopeless romantic would love to receive flowers or chocolates. How should I communicate this to him? I don’t love Valentine’s Day. I agree that it’s a commercial holiday designed to encourage people to spend money and I’m not buying it. 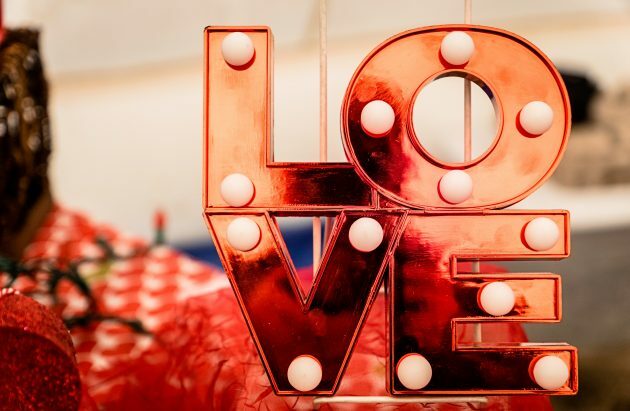 However, if you love Valentine’s Day and he loves you, he can certainly learn to appreciate your feelings and express love in a way that makes you feel important. First and foremost, if you’re a hopeless romantic, I hope you express romance in a way that feels good for him. Putting Valentine’s Day aside, have you asked him how he’d like to celebrate your relationship? Have you asked him what types of gifts he’d like to receive? If you love Valentine’s Day, model the behavior you desire. Once you’ve given him a chance to talk about his needs, be clear about yours and highlight why you want to celebrate. Explain why it’s important to you. Does it make you feel loved? Do you find him more attractive when he goes out of his way to make you feel important or surprise you with a gift? Do you attach feelings of love to fond memory’s of Valentine’s Day with your parents growing up? Did you have a negative experience in the past and you want to rewrite the tradition? You might also consider making plans for gifts in advance. For example, you could set a spending limit, pick a fun theme or opt to create homemade gifts instead of shopping. You might also decide to volunteer together, spend time with an elderly neighbour or set a double date with another couple. I also suggest you celebrate a day early to avoid the crowds.